Beautiful Boats Take Time & Effort! Anyone can clean a boat!...Not everyone can make your boat look new again! It takes passion, time, hard work, professional products, professional equipment & the right personal. It Starts Here! with professional products that brings out the best in the fine detail. Click Here and Start Now! Our Special Products that Work! Specially Made Cleaners in Spray Form for Our Customers! But Doesn't Want to Spend All Day Cleaning! Professional cleaners, sprays, waxes & polishes! 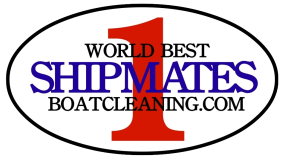 The Same Cleaners we use professionally on hundreds of boats! We took our Best Professional Products and made them into an easy to use complete line of spray cleaners for the boat owner. 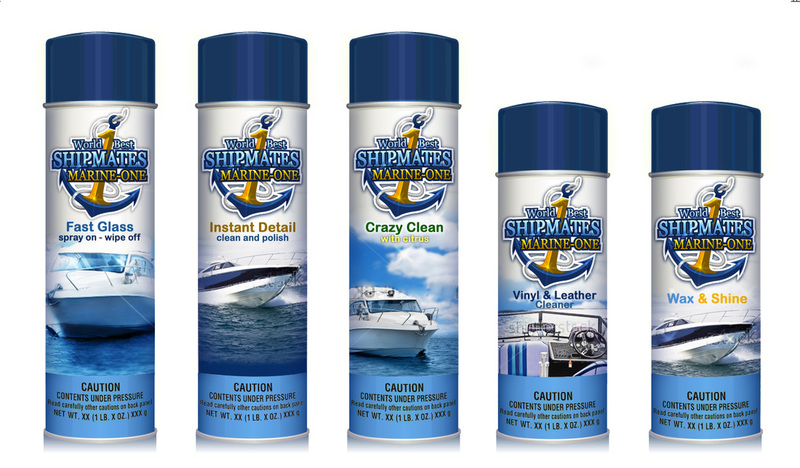 All ShipMates-﻿MarineOne﻿ Products are made to save time when it comes to cleaning your boat. Spend less time cleaning and more time boating! Instant Professional Finish Just Like The Pros! Bring it Back To New, Showroom New! Spray On/Wipe Off Glass Cleaner. Our Best Product! - Reduces cleaning time with fast action spray. 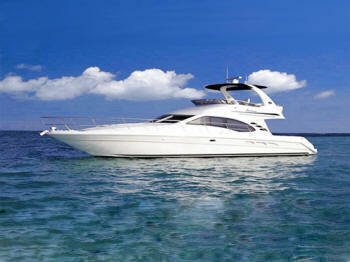 **Nothing like a clean boat with the fine finishing touch of clean/streak free glass! Spray on foaming action immediately works on dirt and oils left on glass. Great on getting rid of hard water spots. Fast Glass - Clean Glass! InstantDetail: Quick Clean and Polish! Spray On-Wipe Off. Its that Easy-Instantly. Our Best Product for a quick showroom clean appearance on smooth surfaces of Fiberglass, Crome, Plastic. This is our Cleaner on Steroids! - Degreaser-Best Use for Hard to Clean Grease, Oil & Grime. Cleans anything and everything! - Deep Cleans Grimy Vinyl Upholstery and Tops. The Powerful Cleaner that gets your boat to New Again!